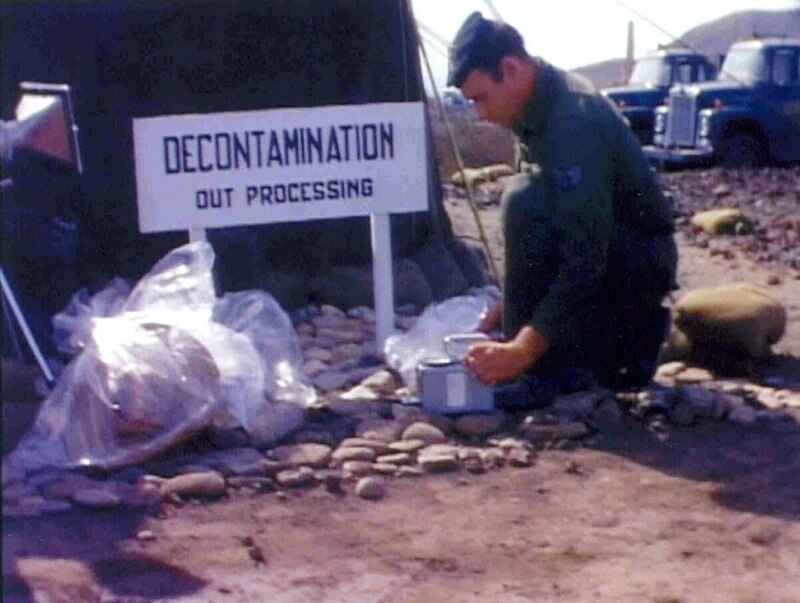 WASHINGTON — Veterans exposed to radioactive debris more than five decades ago haven’t made much progress in the courts to have their illnesses recognized by the Department of Veterans Affairs, so now they’re hoping Congress can intervene. On Wednesday, Sen. Richard Blumenthal, D-Conn., joined a group of advocates to unveil new legislation that would force VA to offer presumptive status to veterans involved the 1966 cleanup of an accident involving nuclear bombs in Palomares, Spain, an incident that may have given radiation poisoning to more than 1,600 American service members. Veterans involved in the accident have been unsuccessfully petitioning VA on their case since the mid-1970s, after a host of strange cancers and other illnesses began appearing among individuals involved in the Palomares incident. The move could allow groups of veterans to sue the department and force additional action on a host of benefits and programming issues. In January 1966, seven airmen were killed and four more injured when a B-52 crashed into a KC-135 during a refueling mission off the coast of Spain. The B-52 was carrying four nuclear weapons at the time of the accident, and two of them exploded near the town of Palomares, spreading radioactive plutonium over hundreds of acres. U.S. officials quickly ordered military personnel into the area to collect contaminated debris, crops and soil in an effort to repair the damage. But veterans involved in that clean up say they were given no protective clothing or respiratory devices, and told very little about the potential long-term health effects about exposure to the nuclear material. John Garman, one of the first airmen on the scene, said he remembers loading thousands of 55-gallon drums with contaminated top soil that was sent back to the United States for safe disposal. Department officials have long insisted that not enough scientific evidence exists to classify all of the health problems as service-related illnesses, and spotty Air Force records of the work and contamination levels have added to the problem. Last December, the Veterans Legal Services Clinic at Yale Law School filed suit against VA to force recognition of the illnesses and benefits payouts, but that case has yet to move forward. Officials from Vietnam Veterans of America said many of the affected troops are elderly or deceased, meaning further delays could prove tragic. House lawmakers' fix would give disability benefits to up to 90,000 veterans. Blumenthal called VA’s refusal to address the Palomares issue the latest in a long line of controversial decisions related to wartime exposure. Recently, VA has come under criticism for its opposition to grant presumptive benefits status to so-called “blue water veterans” who served in ships off the coast of Vietnam and claim extensive Agent Orange contamination in their daily work. Several veterans groups have also accused the department of not doing enough to document illnesses connected to the use of burn pits in Iraq and Afghanistan. VA officials have warned that deivating from long-held scientific standards for benefits awards could create financial problems for the department, by opening up support payments to tens of thousands of additional veterans. Blumenthal said he does not believe this group presents a significant new financial burden for the department. But, he also called the cost issue irrelevant. “This is about the principle of helping these veterans,” he said.